Last week BYU installed four of these DIY maintenance stations on campus–south of the law school, south of the Clyde bldg, between the ASB and JKB, and between the RB and Fieldhouse. Funny back story: BYU of course wanted the stations to be blue but Park Tools has the trademark on any bike related tools that are blue so this bike station company cannot make stands that are blue. One option was red, but for BYU that of course would not do so they ordered green ones. 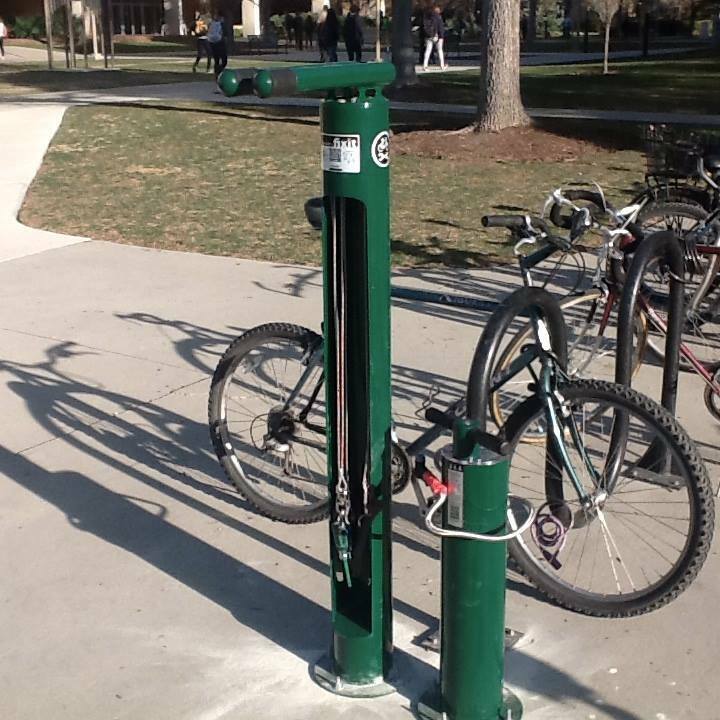 Thanks to the administration for taking another step in making campus more bicycle-friendly. Now for more covered bicycle parking and bike lockers.